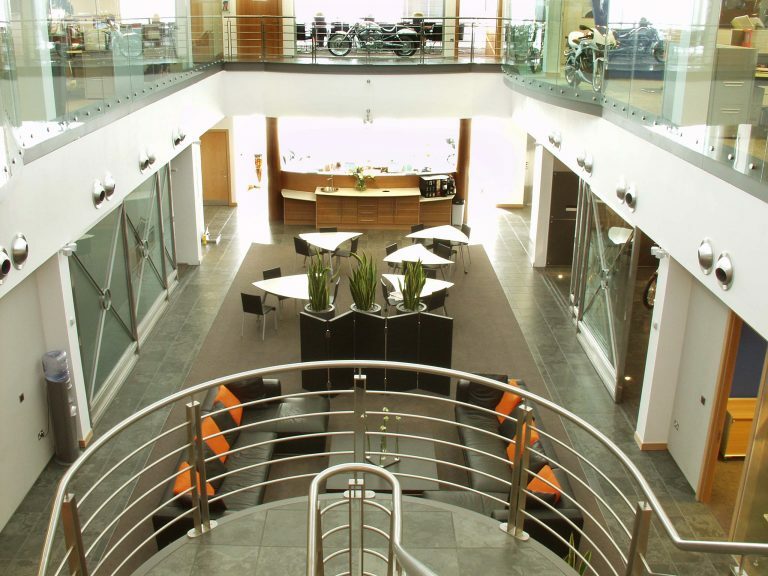 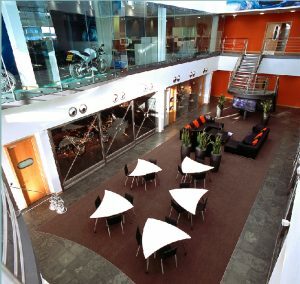 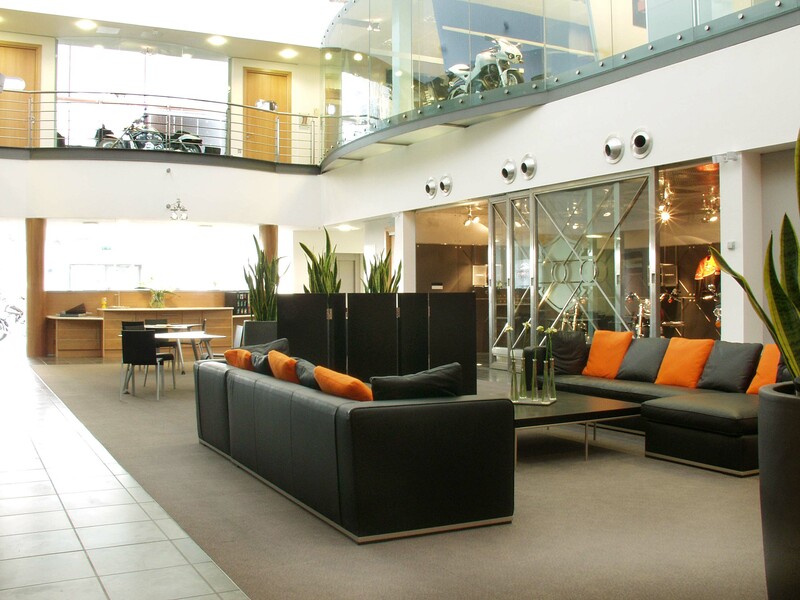 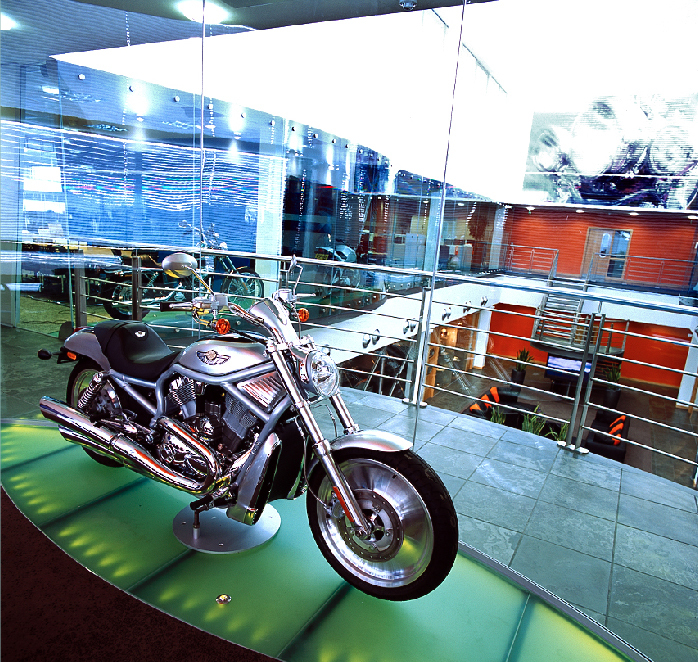 Harley Davidson utilizes different systems within the facility. 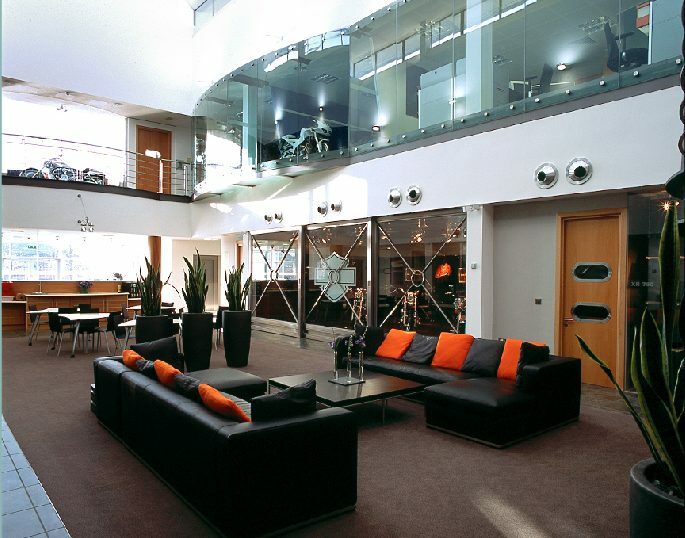 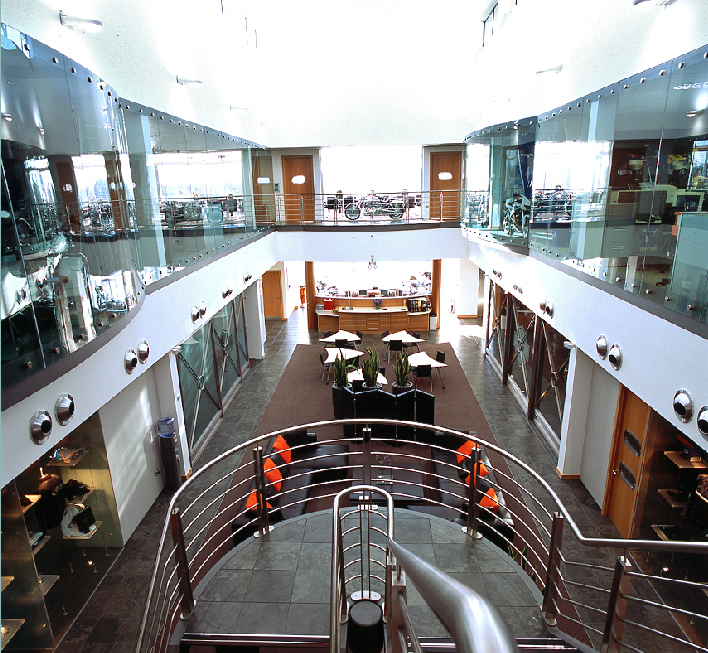 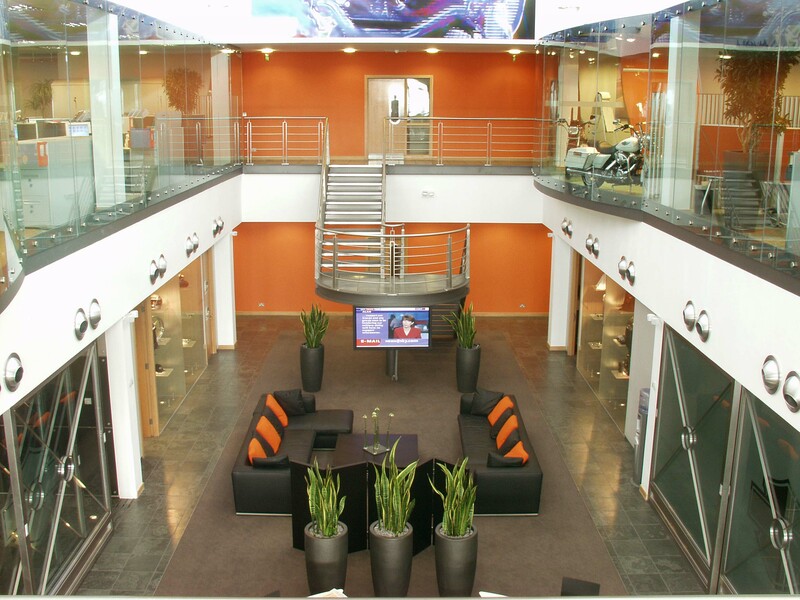 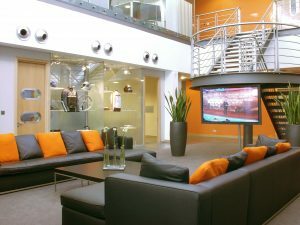 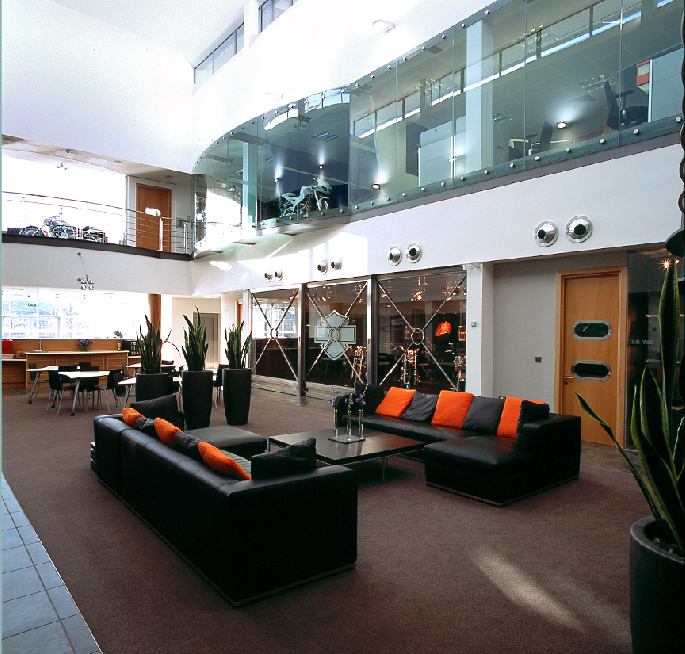 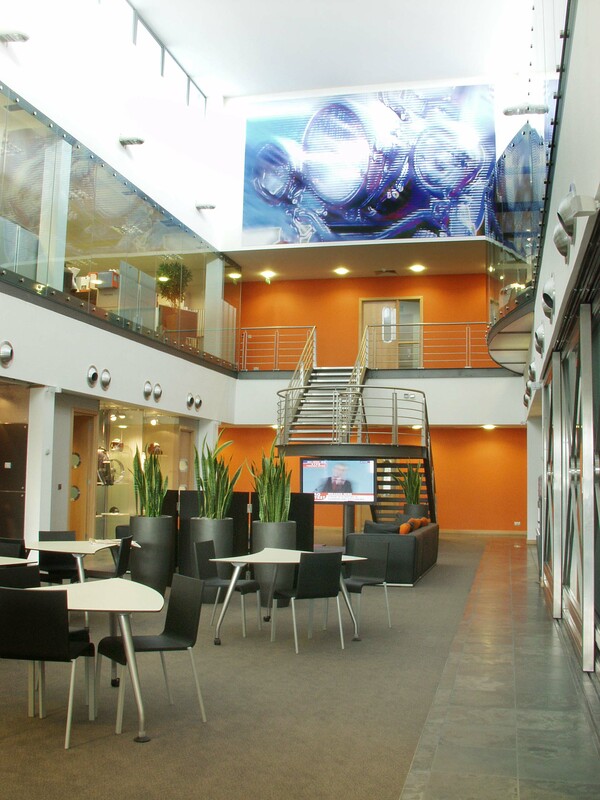 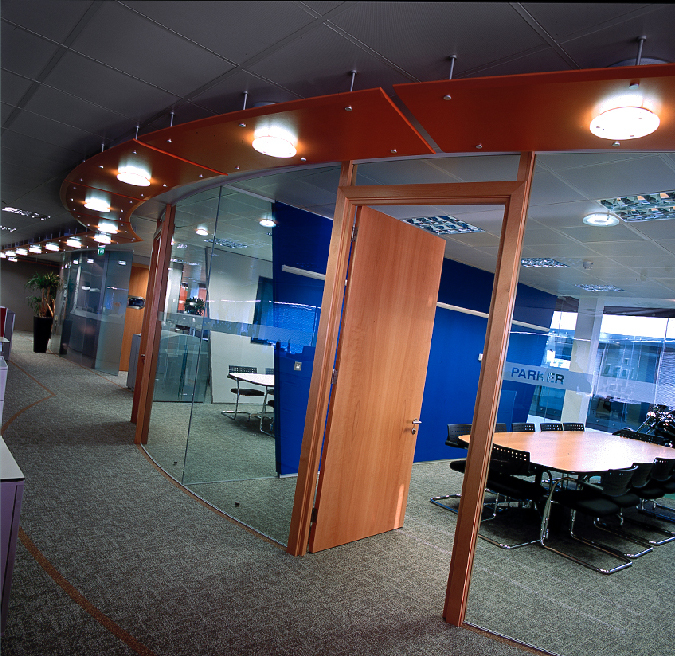 The interior Atrium space take advantage of the Atrium Wall Single Glazed Standoff System in curved and straight configurations. 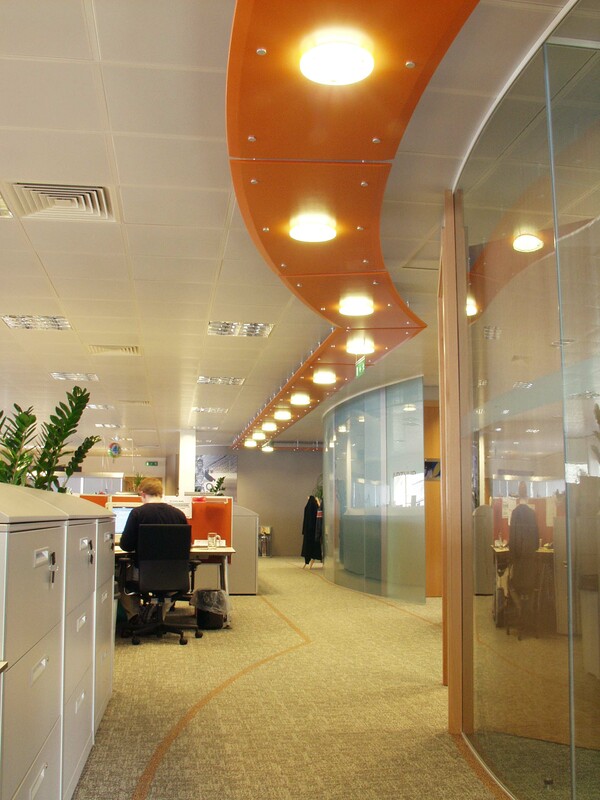 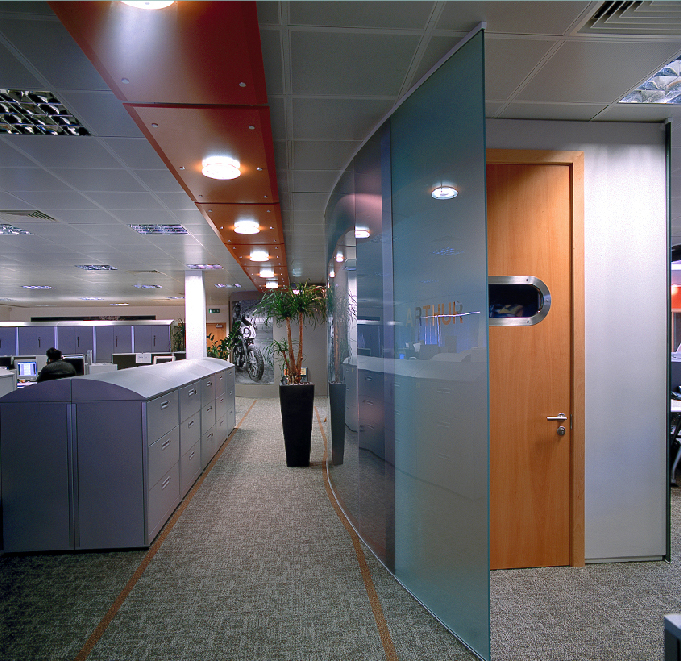 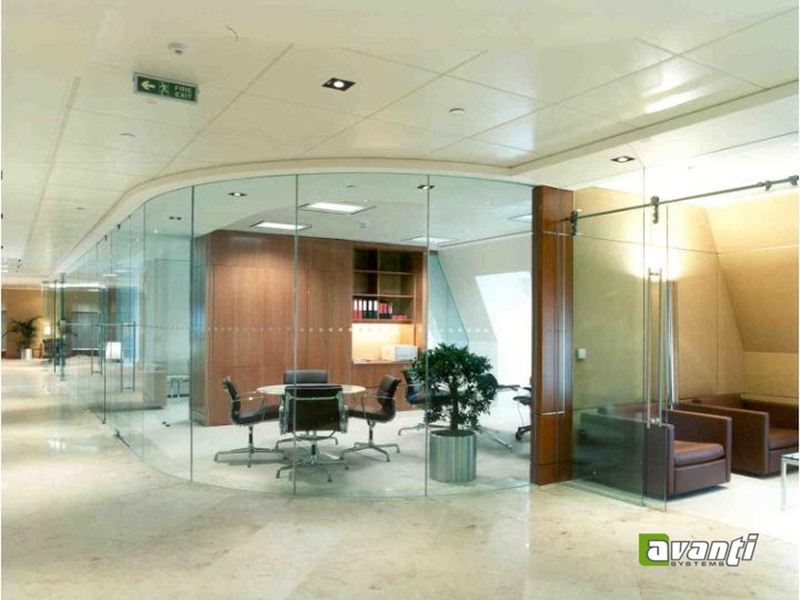 A full height curved Solare™ Acoustic Single Glazed Partition System is used at the Conference Room and incorporates Lunar™ Smart Glass for privacy. 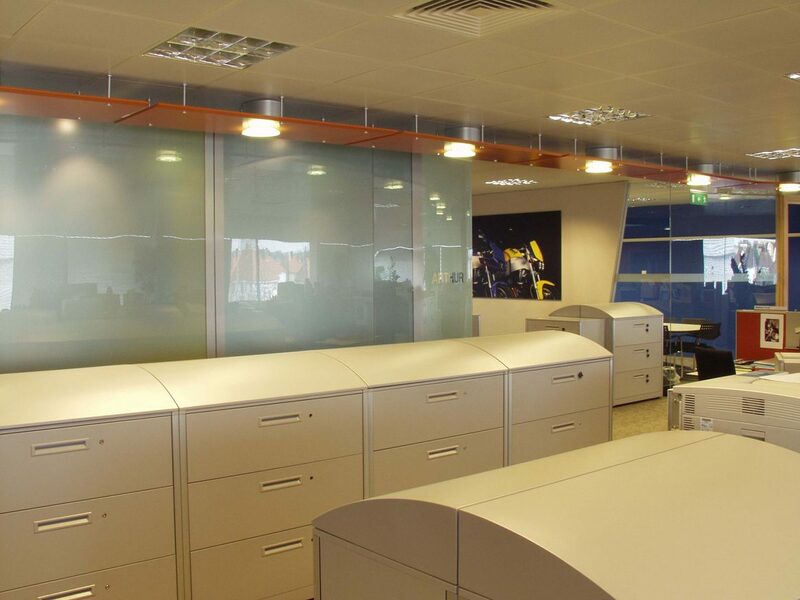 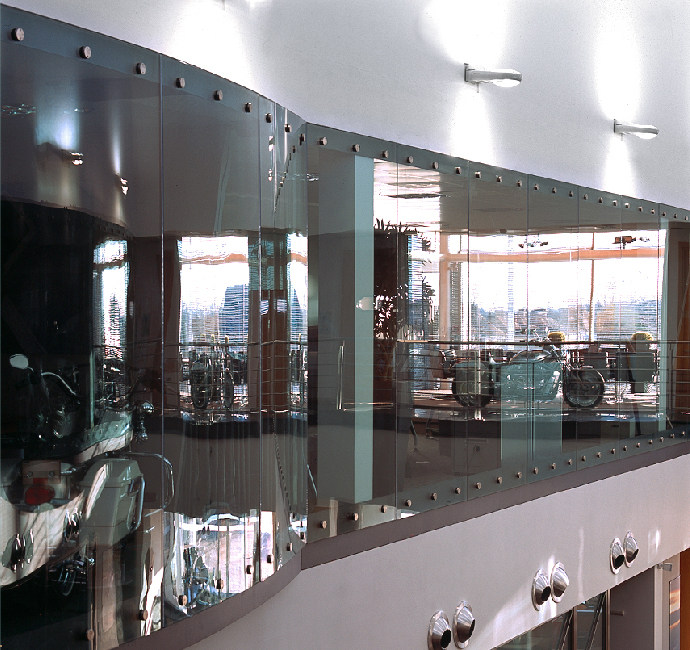 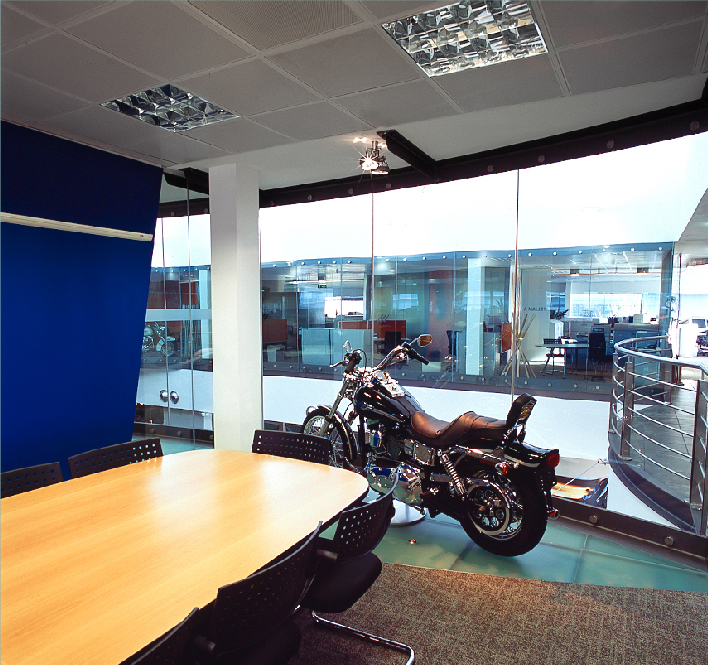 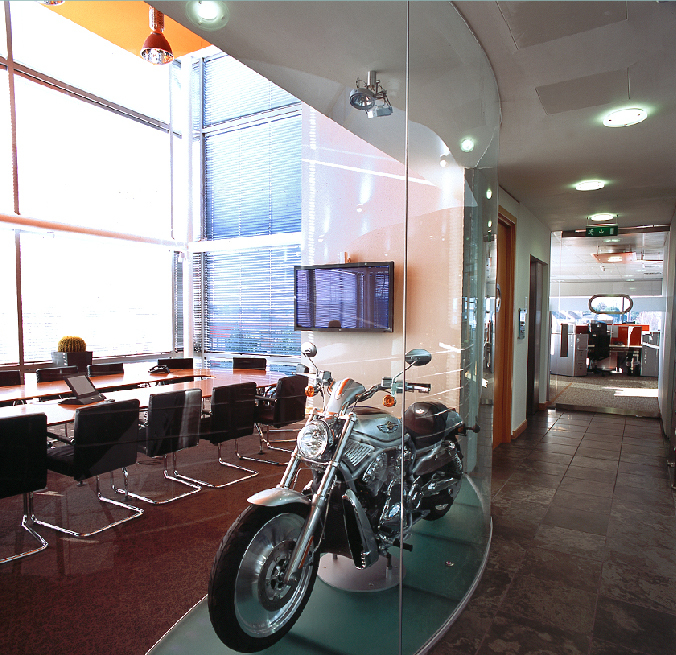 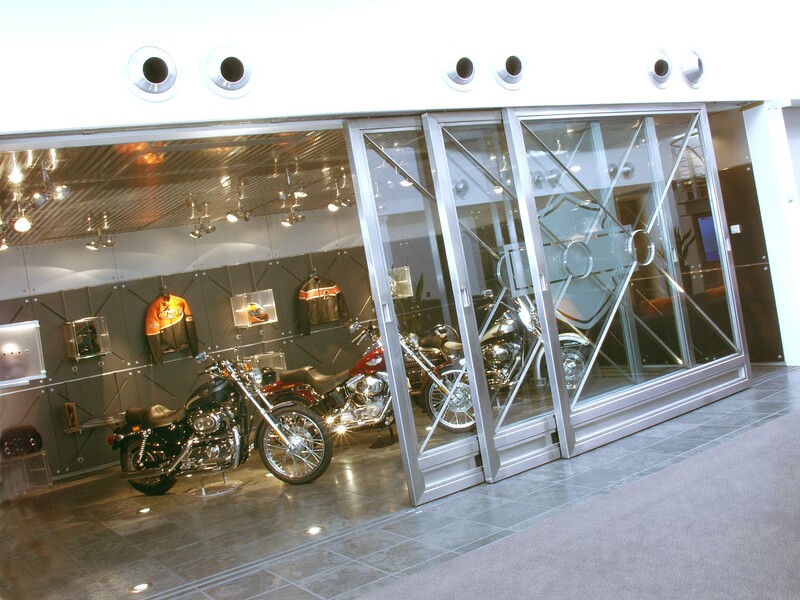 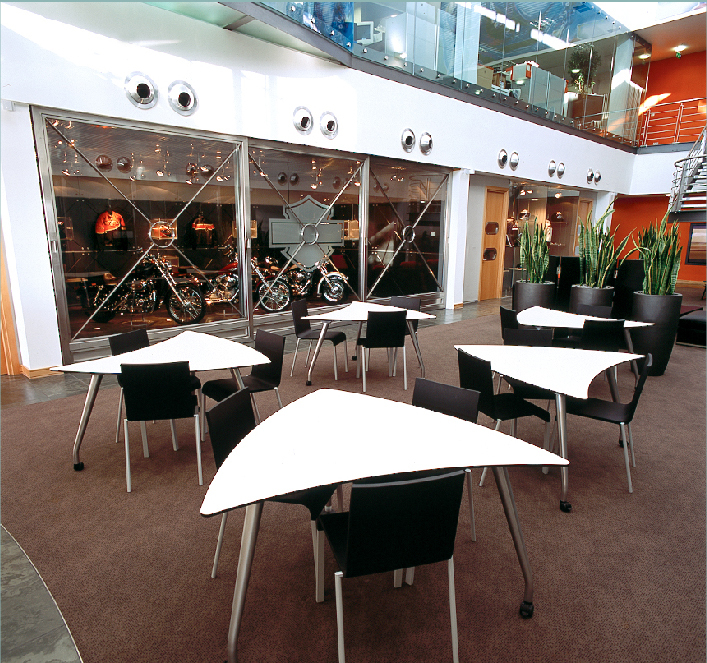 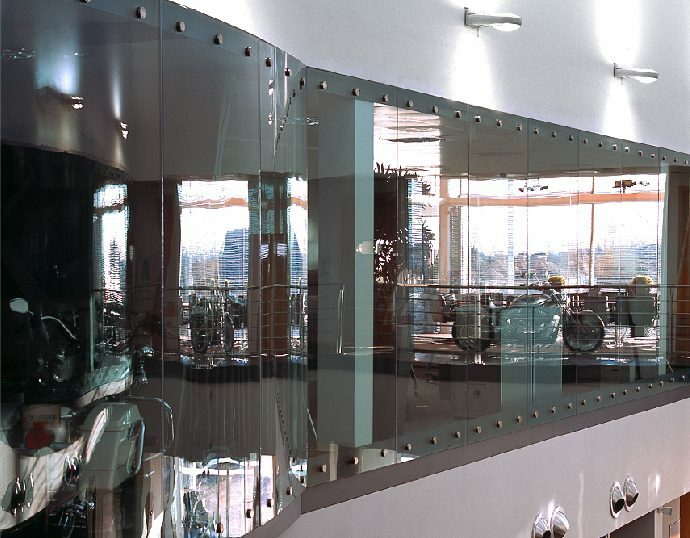 The custom Harley Davidson logo is displayed on the glazing for the Movare™ Movable Glazed Partition System. The Aluminum Framework was finished with the RAL 9006 Metallic Silver Powder Coating, while the Door Fittings and hardware had a brushed stainless steel finish.